Our trucks are stocked and ready to go on a moment’s notice twenty-four hours a day to restore your home after water damage. A leaky pipe can seem like a trivial issue, but if left unchecked, can cause a slew of problems for homeowners and renters alike. An unexpected pipe leak allows water to seep into your carpet, leaving you with more issues from water damage than one person should have to handle alone. If you find water damage in your Santa Monica home, such as wet carpet from a wall leak, SERVPRO technicians are here to mitigate water damage and restore your home to its preloss condition. Upon arrival, our certified technicians can determine precisely where the moisture has spread under carpeting using tools such as moisture detectors and probes. Our moisture detection relies on the science of psychometry, which allows our team to evaluate temperature and humidity to remove moisture and dry surfaces effectively. Through the use of air movers, which pull moisture out of surfaces and into the air, and industrial-grade dehumidifiers, which absorb this air moisture and expel dry air, carpet and walls are made dry. Wet carpet can be lifted from the floor by our technicians and tented in place to dry the surface as well as padding. Once drying is finished, a disinfectant is applied and subsequently dried to eliminate the risk of bacteria and fungus growth. In "clean water" situations, where contamination is minimal, carpet and padding are salvageable. In "gray water" situations, where moisture has affected carpet for less than 48 hours, padding may need replacement, but carpet can often be dried and cleaned. In situations where the carpet has had exposure to otherwise clean water for more than 48 hours, carpet must first be evaluated in order to ascertain if it can be salvaged. SERVPRO of Santa Monica/Venice Beach is here to serve the community 24 hours a day, 7 days a week. Let us know what our team can do to help you at (310) 395-9050 today. A robust and diverse season of activities provides something for everyone, click here for more information. Is Water Damage in West Los Angles Restaurants Staining Profits? 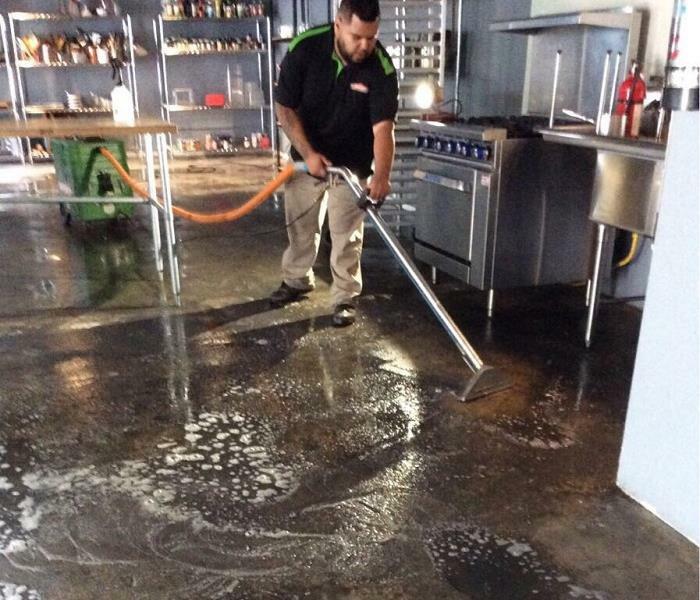 SERVPRO is available 24/7 to remove water from your business. When water damage hits a restaurant in West Los Angeles, it can sometimes be a race against time to get the issue repaired and damages restored before losing any extra business. Customers notice the signs of water damage quickly in most service sector businesses, even if any leaks or floods are long taken care of and any water has dried up. 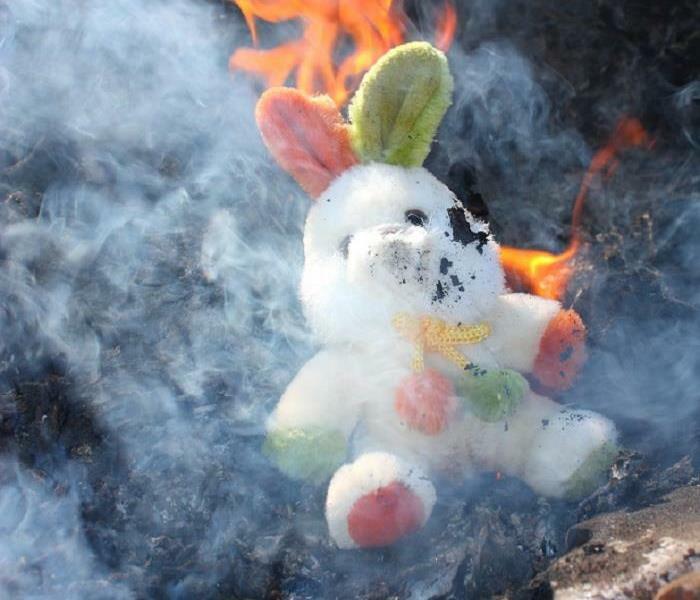 The damages left behind can be a permanent reminder of what may have happened in the past and, to customers' eyes, a sign of a less trustworthy business. SERVPRO can help to repair and reverse these damages and more to stop your establishment from bleeding business. One of the most long-lasting and apparent signs of water damage in many West Los Angeles restaurants is the presence of shrunken or warped carpets in the business. 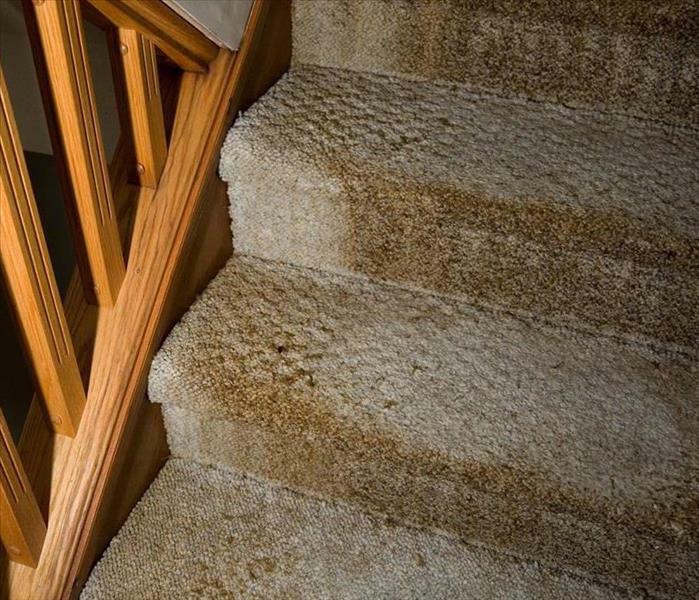 Water causes most types of carpeting to expand when wet then shrink back when drying, sometimes creating bubbles or tearing on seams and tacks strips as they do so. We can help you to repair the damages or mitigate costs by keeping replacements to a minimum. Many things cause discoloration from water damage, including the presence of contaminants in the water and the ability for colors to bleed from one material to another when both surfaces are soaked. Regardless of the cause, SERVPRO technicians are trained to help restore original colors or refinish a surface to eliminate any visible damages caused by the water incident. Unlike most other consequences of water damage, mold growth can pose a direct threat to your business. Health codes may sometimes be tight when spores are found in a local restaurant, since the presence of some fungal species may cause health effects for employees and customers alike. We conduct full mold remediation treatments and can implement preventative measures to keep mold out of your establishment in the future. SERVPRO of Santa Monica / Venice Beach can respond to your call for help with water damages on a 24/7 basis. Call us at the first sign of trouble at (310) 395-9050. Read more about West Los Angeles here. SERVPRO utilizes many cutting-edge technologies to expedite the moisture removal from homes. We are at your service 24/7 so call us right away. Every Santa Monica resident can appreciate conditioned air and the difference it has made for comfortable living in the often hot and muggy environment. Unfortunately, many do not realize the strains and wear that these systems can endure when they are asked to run for most of the year without breaks. For all of the ways that your HVAC system could degrade and fail, one of the most problematic for your home is when water pools in elbows of the ducts or leaks from the appliance itself, causing damages to the immediate area. Many homeowners do not even realize they have reached the point of allowing water damage into their Santa Monica property until the effects have already occurred. Our SERVPRO team can respond quickly to emergency damage situations to provide fast drying efforts, effective restoration strategies, and repair and cleaning of the HVAC system causing the problem. A great deal of the issues with an HVAC system can get avoided with the appropriate servicing and inspections occurring regularly. Even without the threat of breaking down, your HVAC system can run more efficiently with cleanings every 3-5 years. Without servicing the system at all, debris, dust, dander, bacteria, and contaminants can collect within the system to prevent the flow of cool air. 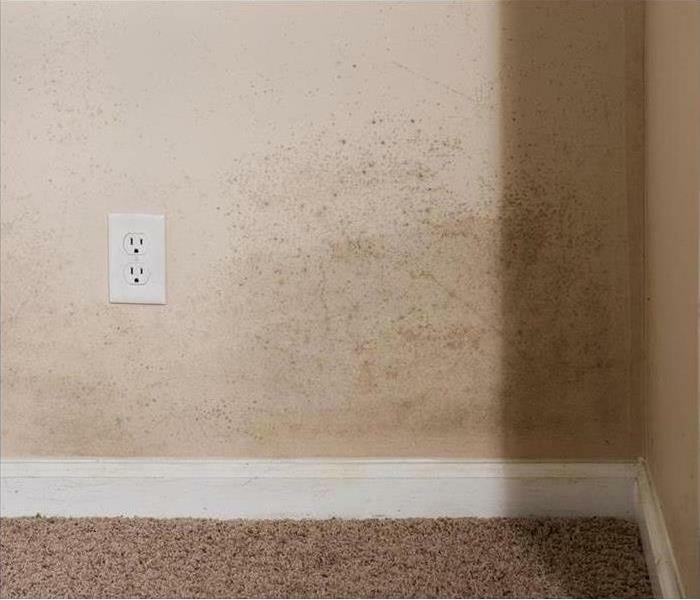 These blockages can attribute to excessive condensation in the ducts that become pools of water that ultimately damage nearby construction materials. 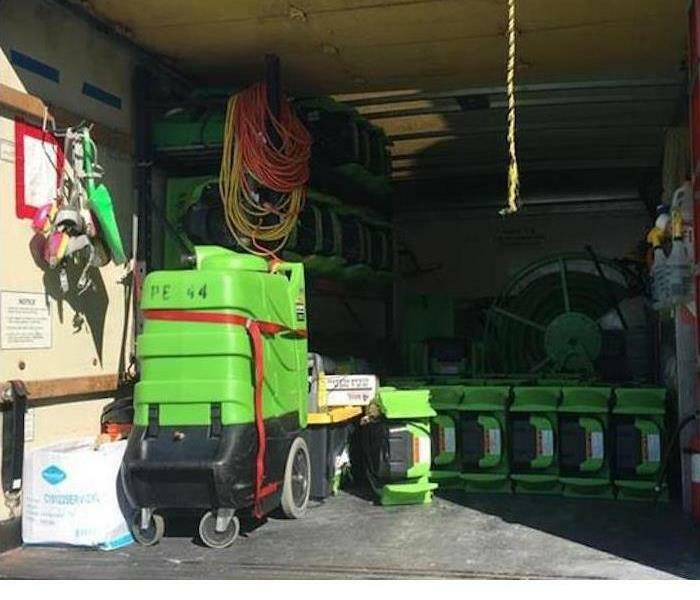 Our SERVPRO team arrives with the tools and equipment necessary to fully inspect this system for these blockages and throttling, as well as the moisture detection and drying machines necessary to restore the water damage that has occurred. The faster that our technicians can get notified of the issue, the more likely it becomes to preserve the saturated structural elements affected by the malfunctioning HVAC system. 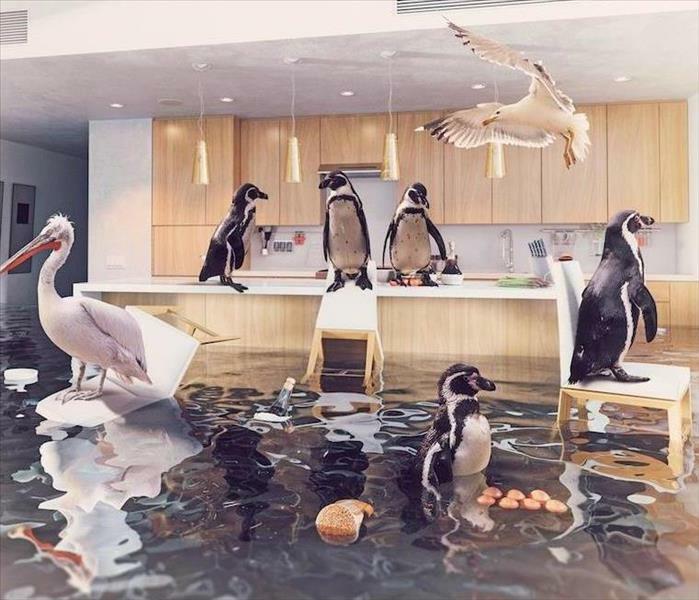 There are many potential causes of water damage to your home, but at SERVPRO of Santa Monica / Venice Beach, We’re Faster To Any Size Disaster. Give our rapid response team a call today at (310) 395-9050. New Big Blue Bus stop amenities to brighten your travel experience click here for more information. Is It Time to Talk More About Water Damage Remediation in Your Marina Del Rey Home? 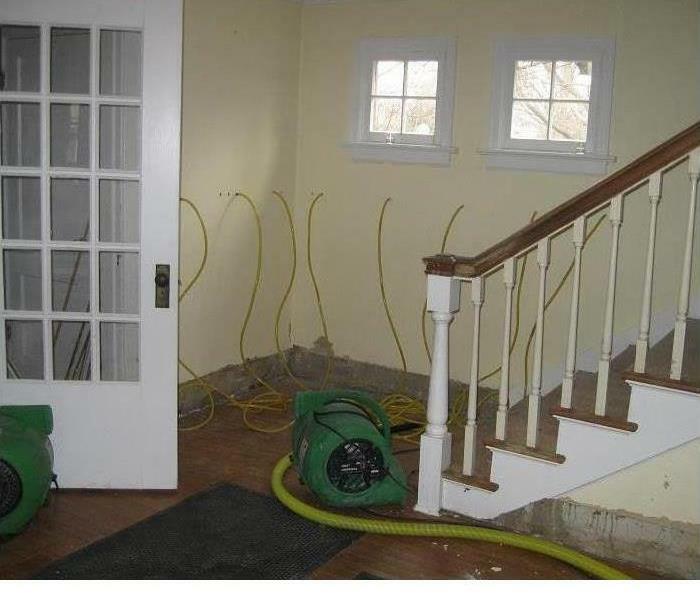 Water damage needs your immediate attention to help prevent the possibility of mold. Contact our certified team for water removal. Plumbing pipes that run along the ceiling can cause a large amount of damage to your home if there is a leak or seal failure that allows water to flow into the room. Water removal needs to happen as quickly as possible and if there has been a slow leak that was happening for a period of time before the break, you may already have mold growth in the vicinity that needs to be removed. 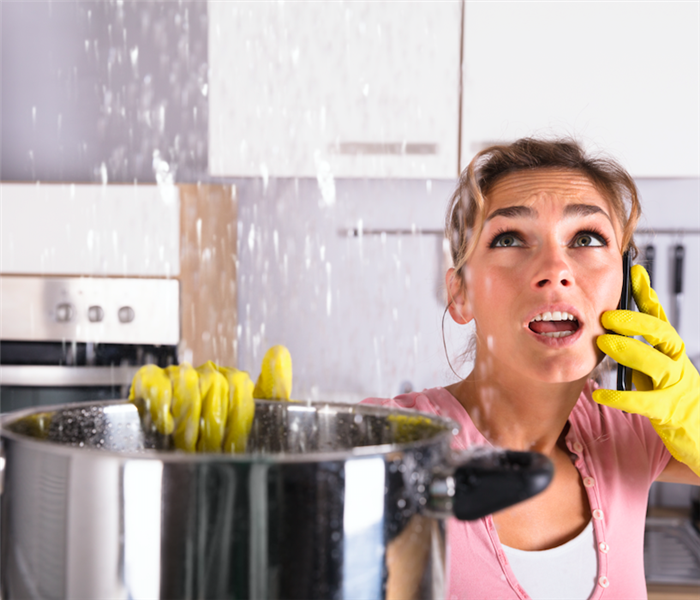 Turn off the water and have our technicians access the damage as soon as possible in your home so cleanup and restoration in Marina Del Rey can begin. SERVPRO techs are highly trained, certified and use the latest technology, such as digital moisture detectors, to determine the actual area that has been affected by water. Materials that are in drywall and carpet padding can absorb water much like a sponge and spread to areas that were not in the vicinity of the initial water damage. SERVPRO can utilize portable wet/dry vacuums for small scale removal or truck mounted industrial pumps for large-scale projects. Once the standing water is eliminated, the affected rooms in the home will be thoroughly dried, with powerful air movers and dehumidifiers if necessary. Once the rooms and furnishings are confirmed dry, the cleanup begins. Mold is a big concern and our technicians use professional-grade antifungal and antibacterial cleaners to prohibit mold and mildew growth. SERVPRO technicians can do a thorough cleaning by hand, if additional deodorization is necessary, they can use industrial fogging machines to overtake and eliminate any odors left in the home or furnishings. When the cleaning is completed, our technicians can begin the final step of the restoration of your home. This may involve fixing or replacing drywall, carpeting or painting. 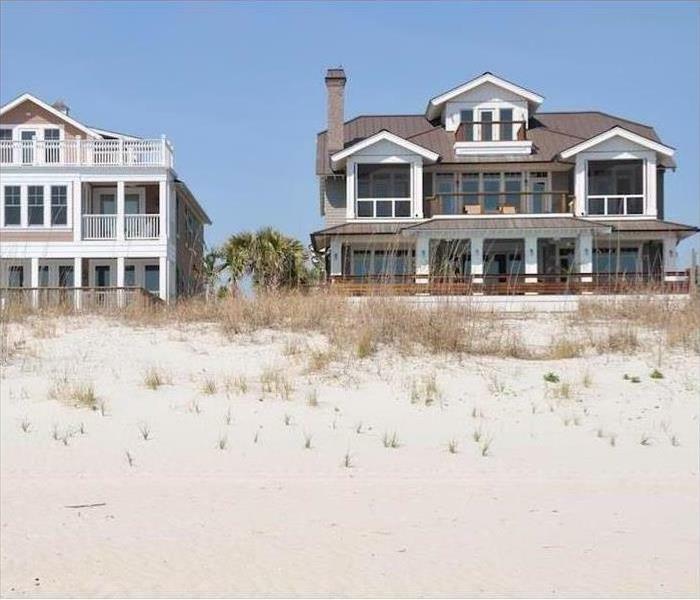 Our goal is to return your home to its preloss condition and get your life back to normal. Contact SERVPRO of Santa Monica / Venice Beach for quick water removal from your home. Our expert technicians are on hand to assist you 24/7, just call (310) 395-9050 to get started immediately. Click here for more about Marina Del Rey. 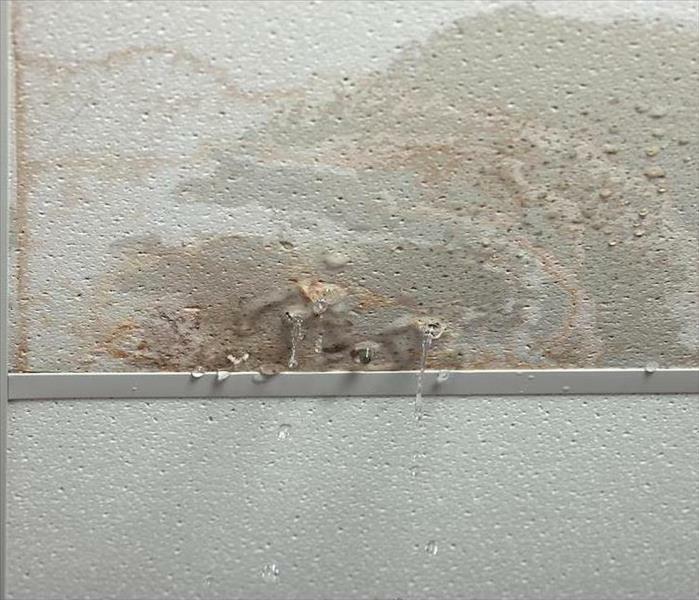 3/26/2019 - Is Water Damage in West Los Angles Restaurants Staining Profits? 2/10/2019 - Is It Time to Talk More About Water Damage Remediation in Your Marina Del Rey Home?